A father shares the heartbreaking tale of how he almost lost his child to a deadly virus that could have easily been prevented by hand washing. Did you know that hand washing can actually save lives? Washing your hands keeps you clean and also helps prevent the spread of germs. Sadly, one father learned his lesson the hard way. 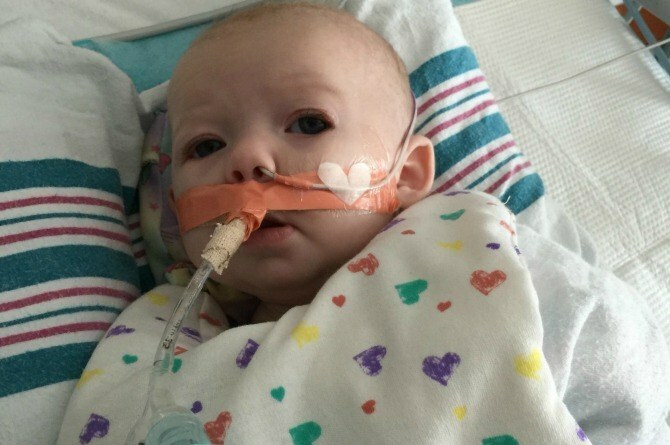 A father from Memphis shared the story of how he almost lost his child from Respiratory Syncytial Virus (RSV). A complication that is caused by viral meningitis. He posted photos of his baby as well as a message emphasizing how important hand washing is for the safety of our babies. RSV is a virus that has symptoms similar to colds, but it can quickly turn serious for infants. In this dad’s case, his infant almost died as a result. RSV can easily be transmitted through coughs and sneezes. It can also survive on surfaces such as door handles or grocery carts, that’s why it’s important to wash your hands before handling babies as RSV can spread very quickly. According to the infant’s father, “RSV is no joke, I didn’t know much about it until a week ago when it almost took my daughter from me. Please make sure to wash your hands before handling little ones.” Thankfully, his daughter survived the ordeal. Handwashing is the simplest thing you can do to prevent most diseases from infecting you or your family. While we can’t really say how his child got infected, or if handwashing could have prevented his child from getting sick, it’s still important to always keep our hands clean as much as possible. Washing your hands with soap doesn’t only prevent you and your family from acquiring diseases, it also helps stop the spread of germs. Not washing your hands can also indirectly infect other people. So you and your family need to make hand washing into a habit. Make sure to use soap whenever you wash your hands. It’s also important to use clean running water when washing your hands. Lather the soap when you’re washing your hands. Cover all of the parts of your hands with soap to ensure that your hands are fully covered in soap lather. Take at least 20 seconds to scrub your hands thoroughly. It’s better if you do it for 30 seconds as it can ensure that your hands are completely clean. Rinse your hands under clean running water. Try not to use a basin for rinsing your hands as this will just spread the germs even more. When drying your hands, make sure to use a clean towel, or air dry them. It’s important to dry your hands completely since germs can easily get transferred to and from wet hands. Good news! Now a simple mobile service can guide expecting mums in India! Mum Twinkle Khanna is popular as a ‘savage’ among son Aarav’s friends!